Recognizing excellence and commitment to gender equality, diversity and inclusion. Promoting gender diversity is one of Sandvik’s key focus areas to build a successful business. 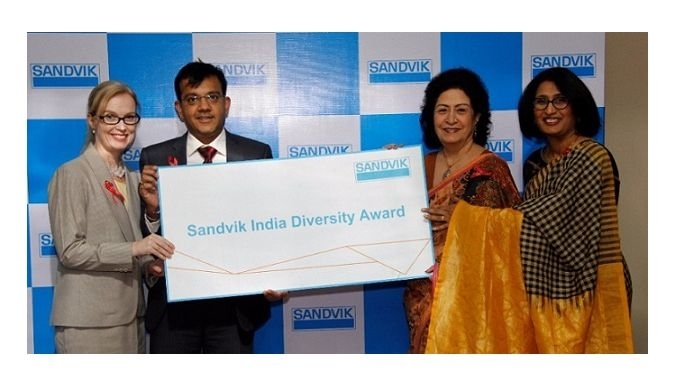 To extend the philosophy to the local communities/business community/stakeholders as well as customers they have instituted the Sandvik India Diversity Award (SIDA) to recognize excellence and commitment to gender equality, diversity and inclusion. Juries are the Swedish Chamber of Commerce India, Consulate General of Sweden, Mumbai and the UN Global Compact Network India and the first award ceremony will be held in Pune on March 7, 2017. Corporate, Corporate CSR Foundations, Social Enterprises, MSMEs, Non-Profits, Trusts, Societies, SHGs, Clusters, Associations, Academic Institutions, Government, Individuals in Maharashtra can apply and for awards in Health, Employment/Workplace, Entrepreneurship, Sanitation, Education, Sports, Social Change and Arts & Culture. Applications are open until 18th February 2017.